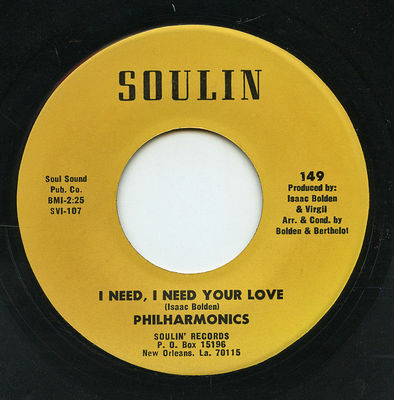 "I Need, I Need Your Love" & "Will You Marry Me Girl"
Record is in Very Strong VG+ condition with a slight warp that does not affect the play. U.S. First Class Mail is the method of shipment to the U.S. and cost is $3.50. Shipping cost to other countries is calculated by mailing address. Please read entire description before bidding or purchasing. Payment must be made within two weeks of purchase. All import duties or taxes are the responsibility of the buyer. Refer to your country's customs office if you have questions. NOTE: Items cannot be held after payment is made. All items must be shipped within one (1) day of payment. Type O Negative STUNNING SEALED BLOODY KISSES DELUXE 180 GRAM VINYL/OOP CLASSIC!